Today is the release date of Nintendo's latest game, Super Smash Bros. Ultimate. I have always been a big fan of the series ever since the original Super Smash Brothers on the Nintendo 64. However, it was really Melee that I played a lot of, as my friend had a Gamecube. Whenever I went to his house, we would do whatever we need to get done followed by hours of Smash. To me, I love this series because of the fact it merges so many characters from different Nintendo franchises into one game. You have all the expected Nintendo figures like Mario, Luigi, Link, and Samus, combined with some more obscure ones like Mr. Game and Watch, Duck Hunt, and Little Mac. I also really like Smash because it is a fun party game that anyone can pick up and start playing. Obviously, it takes a bit more time and experience to get the hang of certain fighters, but you can still generally have a good time. However, this one is a bit different as the name suggests. While a lot of past versions dropped and added characters, this version, being correctly dubbed Ultimate, contains all the past playable fighters. As such, I am super excited. Last week, we also saw something to get excited over, which was the Crucial P1 1TB. 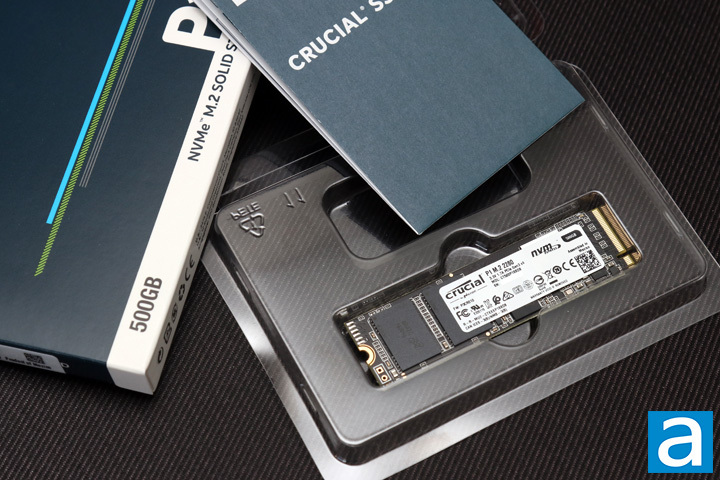 While it was not the best performance we have seen, it provided a clearer stepping stone for what we can expect with the newer quad-level cell NAND SSDs and it still provided pretty good performance while being an excellent bang for the buck. 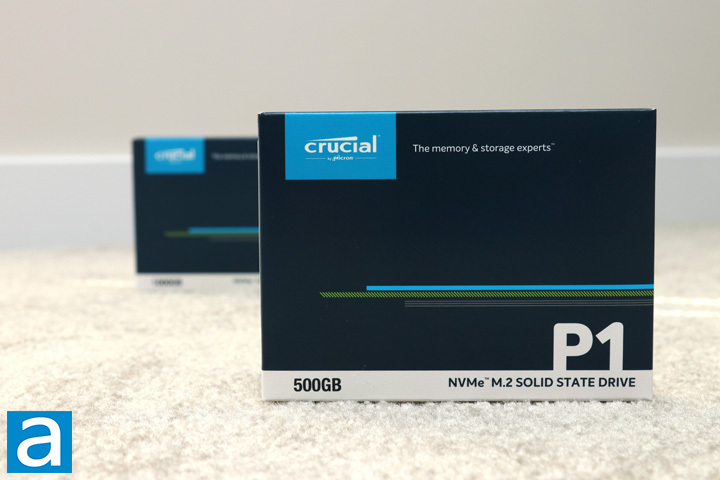 Today, we have the smaller Crucial P1 500GB, which is the base capacity for the P1 series. What can we expect today and will it provide the same performance at a smaller size? Let us read on to find out! Today's review unit of the Crucial P1 500GB arrived from Micron's offices in Meridian, Idaho. 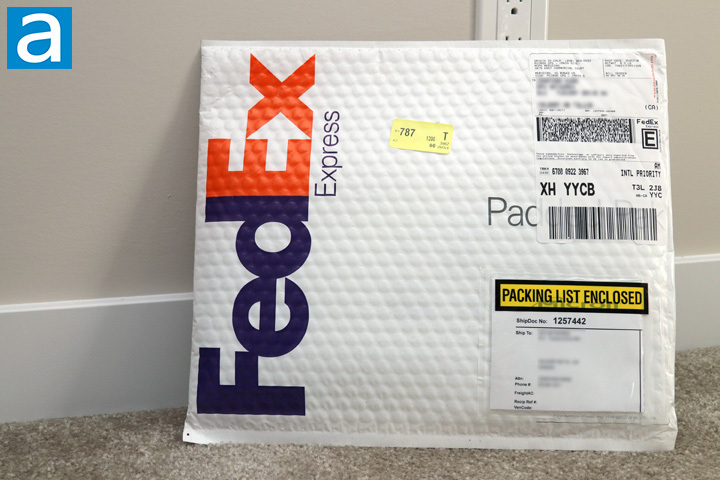 Crucial shipped this FedEx envelope with their International Priority service. In addition to the 500GB version, we also received the 1TB one, which I looked at last week. Otherwise, the envelope arrived in excellent condition with no holes or scratches to be concerned about. I have not really seen a damaged envelope come to us yet thankfully. As we already mentioned in last week's review, the P1 is meant to bring the QLC technology to consumers. The P1 500GB arrives in the same packaging as we saw last week. It is pretty basic but it is clean, which I like. The front shows off a navy blue shell with some white accents. The top has Crucial's logo, which is a Micron Technology brand. Next to the lighter blue logo, we have a tagline of "The memory & storage experts". Otherwise, the product name is found at the bottom with a description of "NVMe M.2 Solid State Drive" and a size of 500GB. The contents of this box is kept to a minimum, though there are not usually much for accessories with M.2 SSDs. The Crucial P1 500GB is placed in a clear plastic shell to protect the drive. We also have a relatively thick user guide and information foldout, which goes over the installation instructions as well as some warranty information. For your information, the drives in the P1 series all comes with five year warranty, which is a pretty good length for Crucial drives. If you do need software, Crucial does provide P1 users with Acronis True Image for drive cloning.